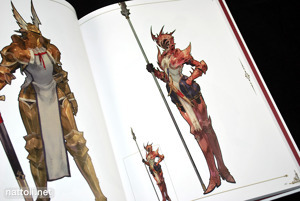 The art book is hard cover, with a frosted plastic slip cover that includes the title text etched in gold lettering. The actual cover art work is printed onto the book itself, and is also repeated inside in full. 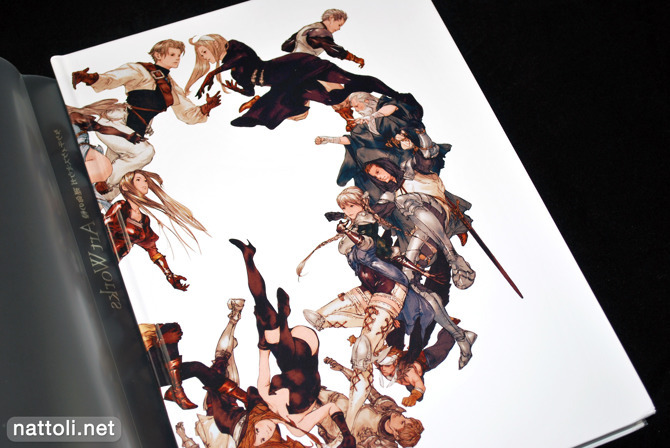 Tactics Ogre Arts Works is a thick, 232-pages, A4 in size, and entirely in color. Along with the art works, there are also a few interviews. 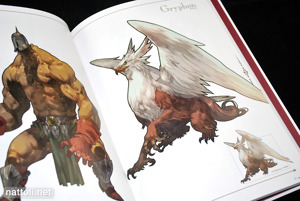 The first few pages include the Main Visual Images by Akihiko Yoshida. This section runs through page 23, and includes the illustrations from the tarot cards that were given away with pre-orders of the game (in Japan). The Character Illustrations section by Tsubasa Masao goes from pages 26 through 65, and can pretty much be summarized by the pictures above. 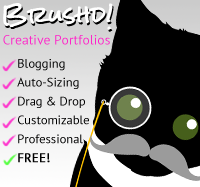 All the named characters are included in this section, and receive a full page each. Class Images is the next part of the gallery, from pages 68 through 107, and includes the designs of the designated classes like archers, lichs, rogues, ninjas and so on. 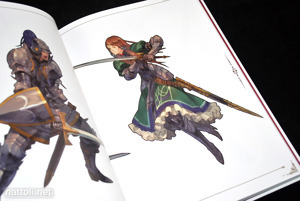 The presentation style is the same as it was for the Character Illustrations, which has male and female classes (when applicable) receiving a full page illustration. 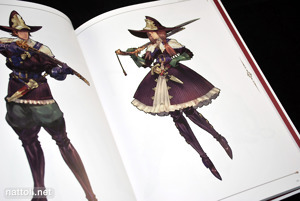 From pages 110 through 183 are the Character Design Works which include illustrations by both Akihiko Yoshida and Tsubasa Masao. The art works in this section are mainly rough works, often looking much like their finished counterparts earlier in the book. But the games sprites are also include, which is kind of fun. There are artist comments on the designs for each character as well, though mostly from Masao.